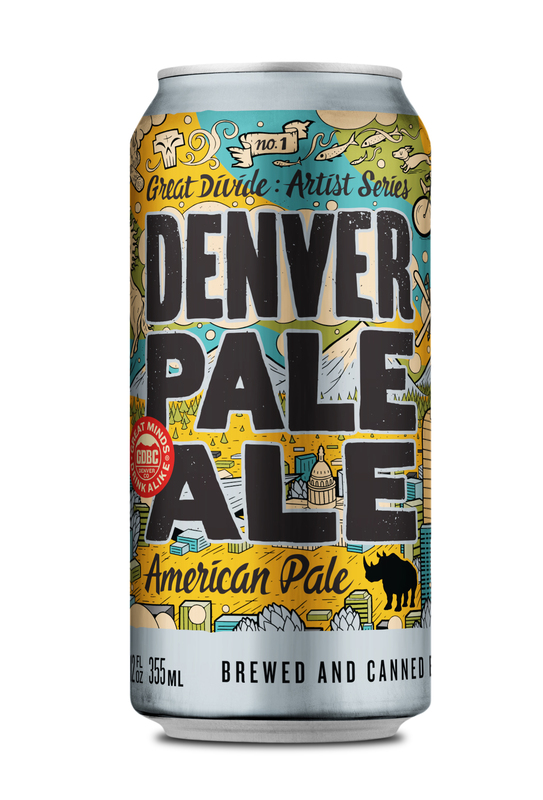 DENVER, Colo.—Great Divide Brewing Company reimagines their classic Denver Pale Ale with a new recipe and design. The new variation will be released exclusively in cans and draft starting this June. 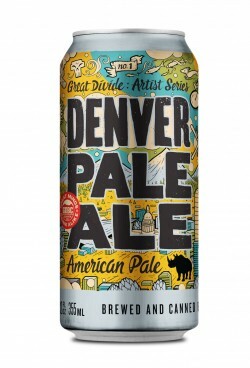 Great Divide is changing the beer from an English-style Pale Ale to an American-style Pale Ale. Denver Pale Ale (5% ABV) opens with big citrus and pine notes, then smooths out with a faint toasted malt character and dry, slightly bitter finish. Denver Pale Ale is the go-to beer from city to trail and back again, no matter what the time or season. As part of this revamp, Great Divide reached out to local artist Josh Holland to design the can. To pay homage to their new location in the River North Arts District, which houses their canning line, the brewery decided to let local artists turn the can into a canvas with Artist Series designs that will change yearly. When approached, Holland wanted to do more than design a can with Denver’s cityscape. He wanted to create a piece of art that embodies the spirit and how he personally feels about the city. The new Denver Pale Ale 6-packs will first be released exclusively in Colorado, and will also be available in Candemonium Mixed 12 Packs throughout the country. Founded by Brian Dunn in 1994, Denver-based Great Divide Brewing Company has landed an impressive amount of acclaim, earning 18 Great American Beer Festival medals, five World Beer Cup Awards and 14 spots on BeerAdvocate’s “Top Rated Beers: Colorado” (2015). RateBeer.com named Great Divide among the “Top Brewers In the World” (2014), and “Top Brewer in Colorado” (2013) and 12th on their list of “Best Brewers In The World” (2013). At Great Divide, Bold Character is not just a catchphrase. It is philosophy behind what they brew, how they think and what they believe. For more information visit www.greatdivide.com.